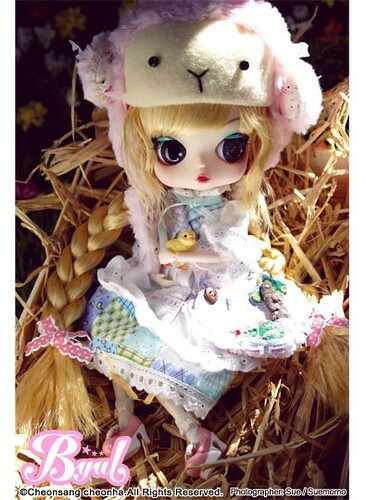 Feel Like So: Like a Downy cloud… I wonder my white hat keeps flying deep into the sky? 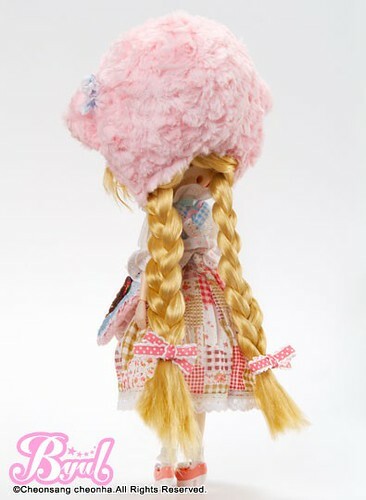 Wig: Blond wig separated into two braids. 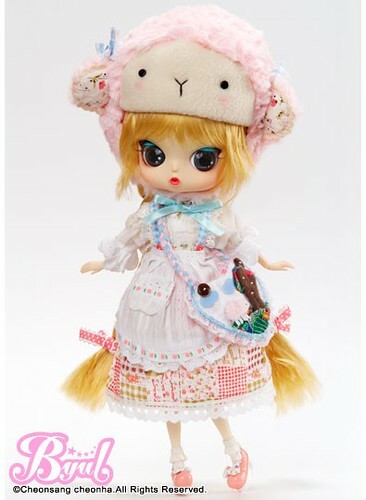 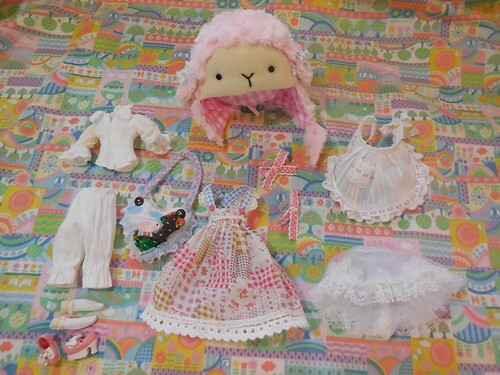 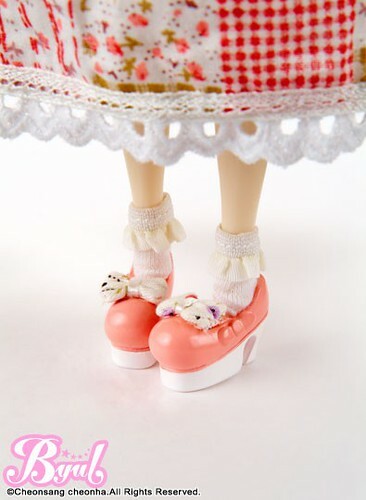 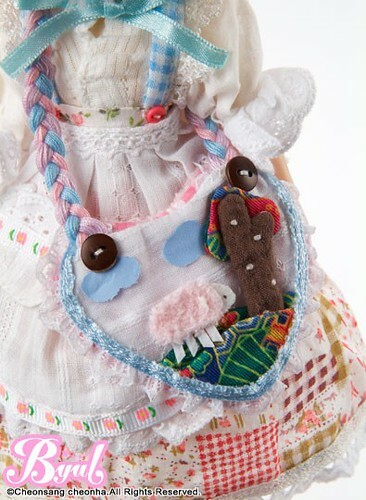 Stock: Byul Paulia’s stock consists of a blouse, bloomers, socks, shoes, apron, petticoat, jumper, purse and sheep hat. 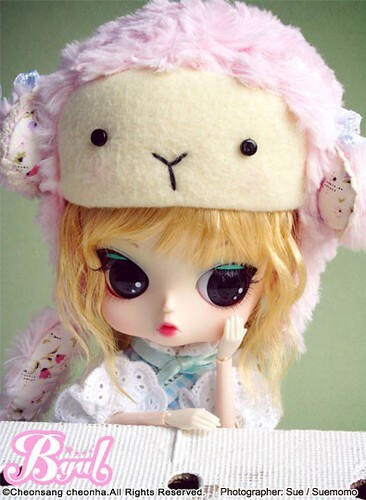 Photo is by Truefan and is used with her permission. 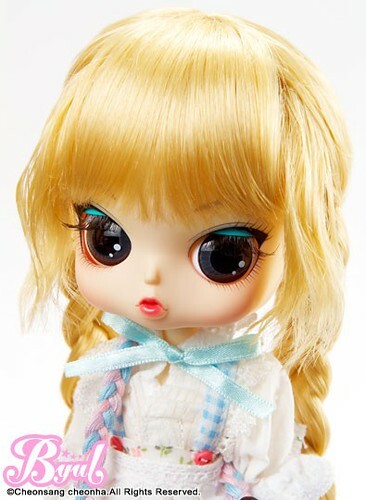 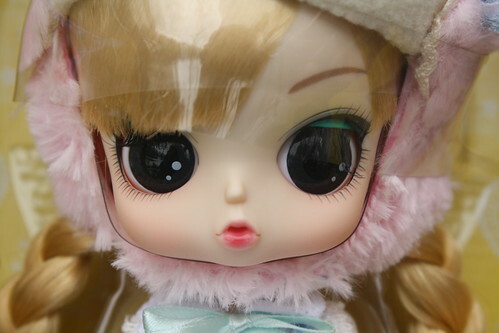 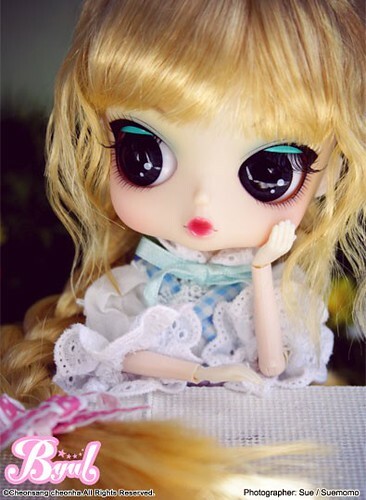 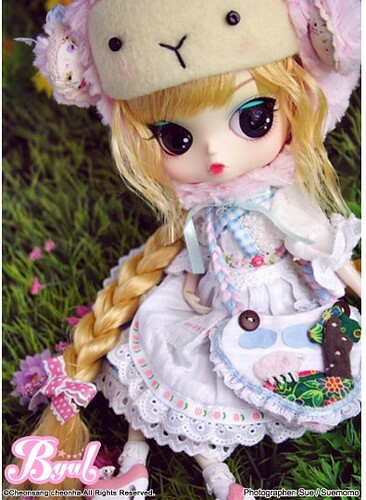 Similar Doll Recommendations: Pullip Greggia & Dal Colline.